Yesterday I happened to read an article about the upcoming Bangalore Metro working to decide the fares between particular stretches of their journey. This got me thinking about a topic which many of us have discussed threadbare. Delhi and Kolkata are the two cities in India which are currently having a metro. The Metro project in Delhi has been one of relative success at least in the public eye. But interestingly if you go deep down, you realise that the Metro which was initially built for 3 million passengers per day finally carries only 1 million despite cancelling more than 100 bus routes on the journey. It has obviously led to the displacement of more than 200,000 people but only 50,000 have been rehabilitated. In Bangalore and Hyderabad there have been problems with people complaining that the Metro is affecting the city’s cultural centers by making them weak. Even though there is strong use of blast resistant technology, the problems don’t seem to die down there. There have also been the usual complaints of lack of transparency and no importance being given to environmental issues like the upcoming Mumbai Metro which is still stuck in the cans. The Pune metro plan is one of utter lack of knowledge of the city’s transport system and population fabric. Without any basic understanding into the functioning of the city’s traffic systems, the plan seems doomed from the start. For a place like Kochi whose population is expected to reach 6.5 lakhs only by 2026 and which has a very low birth rate, a metro system doesn’t make much sense. Add to that the presence of three national waterways where a strong ferry system can be developed and even a much stronger bus and local train system and you wonder what the powers that be are thinking before pushing such plans forward. If we see in totality, there are certain basic problems with the metro system. It is sadly never ever considered together in partnership with the other transport systems like bus, train etc. The reasons for implementing the system though good on paper actually becomes a means to start it at rather than discuss with the general public about implementing such a system. The environmental sensitivity required while implementing such a project is rarely done with care and concern rather it becomes another activity in the entire list. The metro system in many cities has over-ridden the bus routes. But little or no justification is given for the same. It has also been seen that many a time the metro corridor has become property development routes rather than transportation routes. Cities in Europe built metros in the 20th century because they had centralized business districts. Do we? The cost estimates have escalated over the years with poor revenue collection. All in all the hurried planning of the metro system leaves a lot to be desired. Until such issues are solved, the educated individual won’t be fooled into believing the happy headlines about Metro carrying millions of passengers every day. Television Viewing Audience – Then & Now ! Kochi Metro is to be believed as another loss making public transport project. Since Kerala and Union Governments has paid Rs 1500 crore, CMRC has to borrow 3600 crore from Japanese, French and Canara banks with 1.5% interest on 20 years repayment. estimated daily ridership in Kochi Metro is 50,000(same as bangalore metro), and estimated annual Income believed to be 27 crore. Loan interest,repayment and operation cost will Cost Kochi Metro 252 Crore annually. Independent studies suggest that Kochi Metro will make a loss of Rs 245 crore per year. According to law, Kerala Government has to pay this money to investors every year. I must say, this is a deeply disturbing article. At this stage of India’s economic development, we need more metro rails, not less. Every single prediction made by Sreedharan for Mumbai Metro, Hyderabad Metro, and the right decision-making on Jaipur Metro and Kochi Metro has turned out to be Nostradamus-like accurate. There is no other mode of transportation that can single-handedly reduce India’s oil-import reliance. May I point out that when building a metro, you cannot merely take the financial returns into account (although Delhi Metro is operationally profitable). You have to also take the social costs and the opportunity costs. Delhi Metro broke even by 2013 solely on the returns made as a result of the buses and private vehicles that were effectively removed from the routes that Delhi Metro snatched away. The direct savings in the fuel consumption, and the would-be fuel consumption of the vehicles that would have otherwise plied there, and the cost of import of that oil at today’s oil market rates, resulted in carbon emission reductions (which provides monetary returns), reduced oil import, reduced traffic (reduction of wasted man hours), reduced accidents (which cost government over half a billion dollars a year in Delhi alone) and increased customer satisfaction, which believe it or not, also results in financial returns (social costs, remember?) Add to that the auxiliary efforts of Delhi Metro, for example, to plant over a million trees (planting 10 saplings for every tree fallen during construction). That was done 15 years ago, and today those saplings are trees, and are paramount in reducing Delhi CO2 levels. Add to that the rainwater harvesting at metro stations, which have increased Delhi’s water table in the last decade dramatically (although I agree still a lot needs to be done, which would happen in Phase 3 and 4 launch). It is “wildly” fallacious to think or even suggest that metro rail is anything but. However, we can certainly discuss whether or not it could be “even” more profitable, even more comfortable, even more time saving, even more efficient. Today, alternatives are either too expensive or too incomplete. The good thing about metro-rail systems is that it is ONLY a capital intensive project, and thanks to India’s good relations with countries that usually are the first to provide loans, India doesn’t have to worry about getting the capital in the short-term. This is high time for India to invest in metro rail and similar urban infrastructural projects. Add to that the reduction in constructions costs due to recession, it only makes for a better case to proceed with the implementation of it. I am quite surprised the writer wouldn’t take any of the above returns into account, and merely base a judgment on ridership numbers vs. cost of production. That came as a surprise to me. As of 2011, Kochi had a metropolitan area population of 2,117,990, that means 2.1 millions. thus any one know about the hydrogen super highway. No its not a solution.. While the metro may reduce the traffic problems in our cities, my bigger concern is the huge risk it poses. We have already seen cracks in the Bangalore metro pillars and support columns even during construction. I am sure they have used poor quality concrete and other materials. Pictures were published in the newspapers here. God only knows what sort of safety features (or lack of) they will implement in the trains themselves. Who knows, the doors may automatically open when the train is traveling high up on the tracks between two stations? I cannot begin to imagine how many hundreds or thousands of crores were eaten up by corrupt babus and politicians. I won’t be surprised if a section of the metro and the tracks come crashing down after a few years. sir,metro rail of hyderabad will change the life of people in the city. there is traffic congestion becoz of only rtc buses.they there is no any traffic rule for rtc drivers.one day stop the rtc buses,yuo will find roads are desserted.people of hyderabad will get relief from errant auto drivers. The facts are blatantly wrong in this article. As of now, Delhi Metro carries 1.6 million passengers, not 1 million as you are spreading a lie here. Also new routes are being added and the passengers numbers also add up whenever new lines/sections are open. When Delhi Metro project will be completed, it will have 3 million ridership. You are finding faults in Delhi Metro which is among the most profitable systems in the world because you are against anything done by government, what is your comment on mumbai metro which is doomed ever since it started in private hands. All mumbai metro plans to do is to delay and escalate the cost of the project. First thing first, I have taken my points regarding this article from a report tabled by Parisar – An NGO based in Pune in consultation with many top bodies. As for the your point about me saying anything against the government, I think you need to not assume things randomly. If I feel something is wrong, it maybe wrong. And I guess there is no harm to question the government in that way, is there? And neways that’s what a democracy allows one to do, right? So before making any comments, please read my post carefully that I don’t support or am against the private sector or the government. If something is wrong, it maybe wrong. As for the Delhi Metro passenger numbers it was as per 2010 at least because this report is tabled in June 2010. If I were to take your point of 1.6 million travellers its still way below the 3 million mark the Delhi Metro had been constructed for. And in such a case, tell me how will it be cash positive. Sir, its very easy to believe what Sreedharan or Shiela Dixit or anyone else says. Sometimes I guess one needs to check out the facts too. Yes, it is very important to check facts. 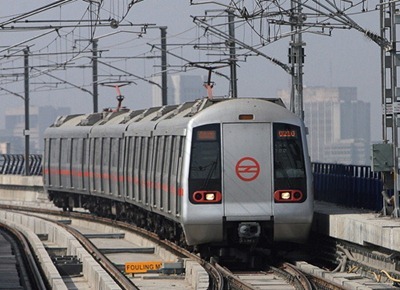 1) Delhi Metro as per figures released in November 2010 has passed daily ridership of 1.6 million passengers. 2) Delhi Metro has four phases. So far Phase 1 and Phase 2 are completed and they have reached 1.6 million passengers. Phase 3 is under progress now and after that Phase -4 will be built. After phase-4, the daily ridership will cross even 3-4 million mark. Having said that, I dont want to make it delhi issue as this article was meant about problems in our whole country. I still think that daily up-down people, women, students coming from small towns on the periphery of a big city ofter get crowded EMU trains or buses. something should be done in that regard. Example palwal-delhi local, aligarh-delhi local, dahanu road-mira road-mumbai. or you can see extremely crowded unreserved second class compartments of long distance trains. Europe has a very high frequency of trains. in UK I can find a long distance train also every 10-15 minutes. USA has excellent roads. Ok fine I agree to your point. Probably your figures and facts are right to back up your claims. Anyway my entire article was not on Delhi, it was generally about how metro system may not work in the country. Delhi might have missed 3 million target, but in terms of revenue that is passenger-kilometers it is matching estimates, as told by sridharan. This is because people travel longer distances more in metro than short distances. The question here is what you want to know. Sreedharan has definitely done very good work. But if the project was done with an initial estimation of 3 million and obviously costs incurred would have been based on that. And add to that the loss of revenues from cancelling more than 100 bus routes. And in the end if you have just 1 million travelling, how can you tell me that the railways are cash positive? there is no one solution to the traffic problem in our cities. moving people from their personal 4wheel/2wheel drives to a public transport should be the target. The aim should not be to move everyone from the roads to metro. Even a 30-40% move to public transport can give a huge respite from the traffic gridlocks and the pollution. Yeah and in that transportation system, the Metro should be a part not the only part! It should be integrated with BRTS, local trains etc. Fairly Mr. Rastogi, you have not attempted to gather facts before writing this. Kochi Metro was proposed by DMRC after making a careful economic and technical feasibility study. It is expected to cater to 3 million population of Kochi’s metropolitan area. The number 6 lakhs is the population of Kochi corporation . Kochi corporation has not been expanded for 40 years for political reasons of gerrymander and has no correlation with the city’s de facto limits. It is a fair guess that you took your facts from wikipedia or such sites which are arbitrarily edited and manipulated and makes your analysis which otherwise could have carried some weight less of worth. including many villages around Kochi only has a population of about Rs. 11 lakhs. metro rail as a solution to its transport problems. the fares for the existing bus, suburban rail and ferry systems. cost and implications of the metro, and its likely impact on the city of Kochi. I am sure you may have questions on why to believe an NGO. Its your prerogative. I personally have a lot of reservations against the Metro system and that’s why I chose to research on this topic.